When the Cleveland Browns pulled off what some teams are calling the ‘steal of the century’ a few weeks back for New York Giants wide receiver Odell Beckham Jr., many couldn’t believe that general manager John Dorsey could pull such a deal off. 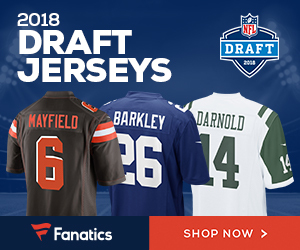 There is no doubt in 2019 that Beckham and the Browns will be a hot play for FanDuel odds and bonuses, and many single day fantasy players are going to go hard after the receiver as well as second-year quarterback Baker Mayfield. Monday he was all smiles as he reported to the first day of the teams’ offseason training program. He said that if there’s one thing about now being in Cleveland, is that it is a dream come true for him to now be wearing brown and orange. He acknowledged that the trade was difficult to grasp at first, but finally is comfortable with the situation leaving the Big Apple in New York and coming to Cleveland. There is going to be a lot of pressure on Beckham to make plays early and often for the Browns, and Vegas responded by upping the Browns win total to nine and over, which is unheard of for a team that three seasons ago won one game, and two years ago went 0-16. One thing that Browns fans have to remember is that while the club has a ton of talent, they still have a first-year head coach, and also will need to come together as a unit, something that is going to be easier said than done. Look out for this young Browns team, it is going to be if nothing else an interesting ride in the AFC North, as with the Steelers in turmoil and the Ravens having lost a number of players, the Browns might just be the team to beat after all once the 2019 season kicks off. Be the first to comment on "Can Odell Beckham Jr. Be the Player That Puts the Browns Over the Top in 2019?"